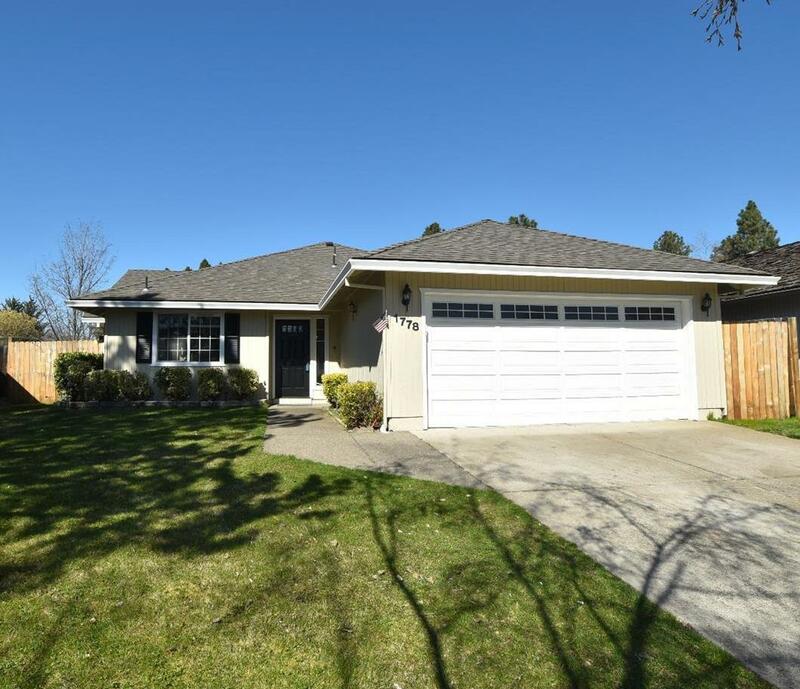 Beautiful single story 3 Bed 2 Bath family home in SW Medford next to Stewart Meadows golf course and Fichtner Mainwaring Park. This well updated home resides in an area with very little through traffic in a very family friendly neighborhood. An open concept living space with high ceilings in the family room is complimented by large fixed windows looking into the backyard. One of the largest lots on the block with a very large back yard with a covered patio! A large open concept main living space is great for entertaining. Flooring consists of laminate and tile floors throughout, master includes a walk in closet and a dual shower heads in master bath. A new roof and exterior paint was completed 3 years ago. Owner is a licensed Real Estate Broker in the State of Oregon. Directions: South Pacific Highway to Garfield. West on Garfield until Holly, Left on Holly, Right on Dove.